Three years after their first collaboration, these two brands have partnered again for a special edition Beats Studio Wireless headphone. 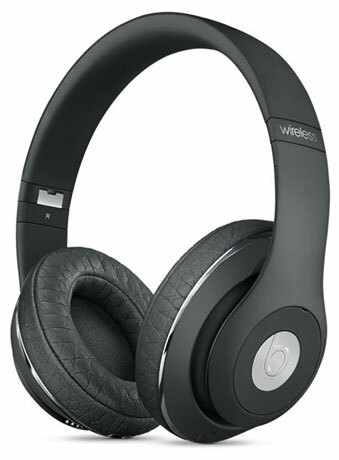 Studio Wireless is Beats’ iconic, over-ear Bluetooth headphone featuring Beats’ signature sound, a rechargeable 12-hour battery, Adaptive Noise Canceling, and a built-in mic. Designer Alexander Wang incorporates his signature style through rich, graphic textures. The striking dove grey headphones with croc-embossed Italian leather ear cups are accented with chrome, and comes with a matching dove grey leather case. Available for $828 at Alexander Wang. A version of this article appeared in the print edition of Weekender, Issue 170, January 20 - February 2, 2017, with the headline 'Geek in the Pink'.